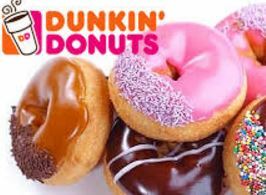 On Friday, June 3rd, Dunkin’ Donuts will celebrate National Donut Day by offering guests a free donut of their choice (while supplies last and excluding Croissant Donuts and Squares) with the purchase of any beverage. The offer is good all day on June 3rd at participating Dunkin’ Donuts restaurants nationwide. Don’t forget that Krispy Kreme is offering a Free Doughnut too! I just received my free coupons so I thought I would send out a reminder just in case you haven’t signed up for the Kids Skate Free program? Go HERE to see if there is a center near you participating. Here’s a fun deal for new moms! Seven Slings is offering a free baby carrier (a $48 value) with the promo code “ENBABY” at checkout. Have a Blues hat, short, pants, socks? 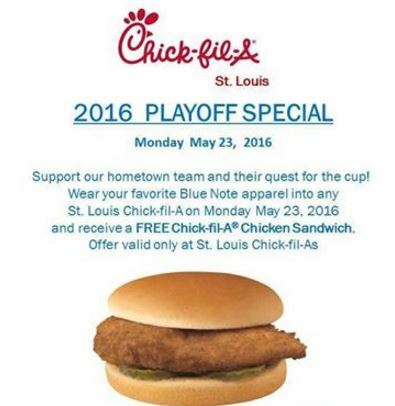 If so put them on and head to Chick-fil-A because all St. Louis locations are offering a free sandwich to anyone wearing a Blues Apparel all day today Monday May 23rd! Visit the Restaurant Deals Page for more hot bargains! 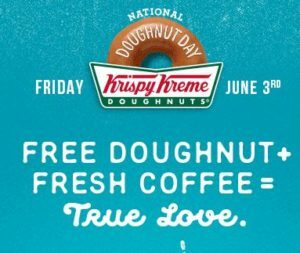 Friday, June 3rd head to Krispy Kreme for a free doughnut (any variety) in honor of National Doughnut Day! No purchase or coupon needed, just visit your local participating store. 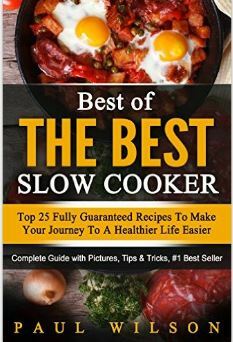 Get this Best of the Best Slow Cooker eBook for FREE! 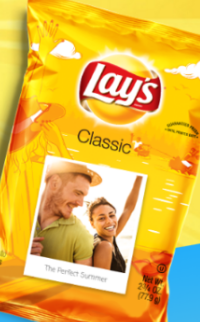 If you have an Instagram account, grab a FREE bag of Lay’s chips (Classic, BBQ or Sour Cream & Onion) customized with your favorite Instagram picture with one of the codes below! You will then need to connect to your Instagram account to select your favorite picture. Once you’re connected to your Instagram account, just follow the steps on your screen and enter your mailing address when prompted. You will receive an email within 24-48 hours once your bag has been approved. 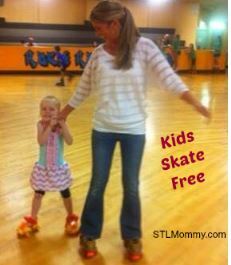 Don’t forget to follow STLMommy.com on Instagram while you’re there! Head to the Target Sample Spot where you can get a free sample of Fiber Choice Drops and/or Advil! 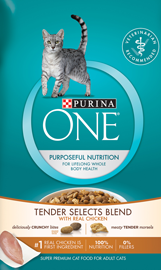 Hurry over and sign up for a free sample of Purina One Tender Selects Cat Food.